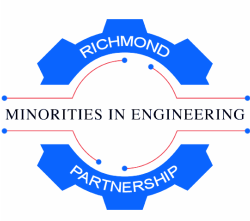 Get connected now...Join the Richmond Chapter of the National Society of Black Engineers. Nubian Village Academy was founded in the fall of 2001 with the mission is to arm each student with an education that will engage the whole student and promote a lifetime of learning through a program that is academically challenging and culturally relevant. All Greater Richmond Area students from 3rd through 12th grades are eligible to participate. An information session for the 2017 Explorer Program season will be held on Monday, Dec. 5, 6pm-8pm at the Baskervill office. At Baskervill, we’re dedicated to supporting design education, both in our office and throughout the Greater Richmond area. This commitment is the foundation for Explore Design, an annual, experiential STEAM-focused program dedicated to examining design in its many forms. Over the course of seven interactive sessions, students between the ages of 14 and 20 get a behind-the-scenes look at design concepts and industry careers through lectures, hands-on. Students of color and other minority groups have long been underrepresented in higher education. In an effort to change that and to increase overall access to postsecondary education, numerous organizations, associations, and companies are dedicated to supporting the academic endeavors of all minority students. Navigating this financial aid landscape, however, can sometimes be overwhelming, particularly for those who may be the first in their family to attend college. To help minority students achieve their goals, AC Online created the following guide on financial aid. Want to learn more about CODING??? Well come out an join the Rva Coder Dojo. Schools and communities need to create STEM programming that engages girls earlier in their elementary and secondary-school education to shift the current dynamic. U.S. Senator Kirsten Gillibrand’s STEM Gateways Act is an attempt to provide federal grants for programs in elementary, middle and high school, with the goal of creating opportunities in STEM fields for girls, minorities and children from all economic backgrounds. ​The VCU School of Engineering is hosting National Biomechanics Day activities at our Engineering West Hall Building (601 West Main Street) on Saturday April 14th, 2-5pm. There will be snacks provided throughout the day and parking will be made available for those who register.